Why did the creators of this video decide to use paint as a motif for what adjectives can do? Which one? How much? What kind? How many? 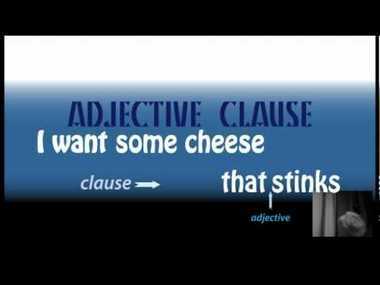 An adjective clause, which works as an adjective, starts with a pronoun and follows the word it describes. The word "daily" ends in "-ly." Would Jon Stewart tell you "daily"is an adjective or an adverb? The girl whom I love ran through the field. The girl I love ran through the field. I didn't say the name of the field where she ran.